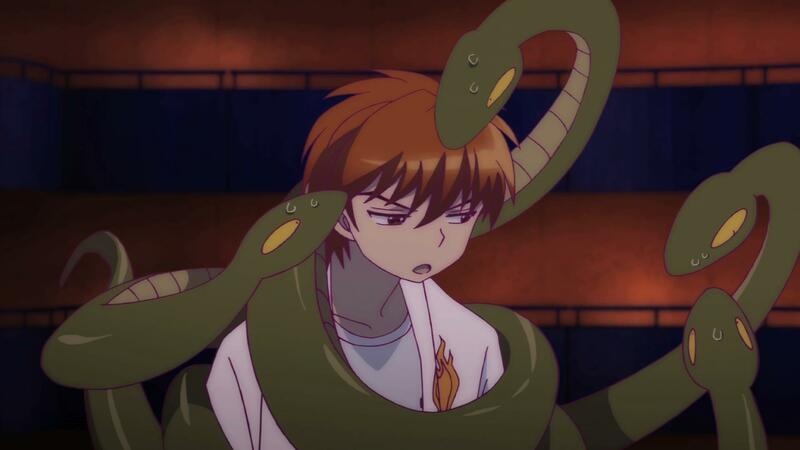 Rinne pursues Masato, who has Reiji’s soul in a bottle, and illegally enters Hell. 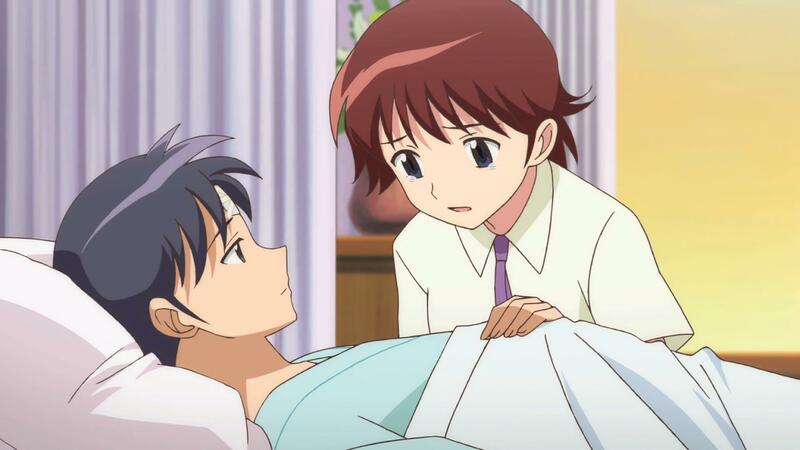 Sakura and Rokumon investigate and discover Reiji was going to deliver matching rings for himself and Suzu, so they give the rings to her. 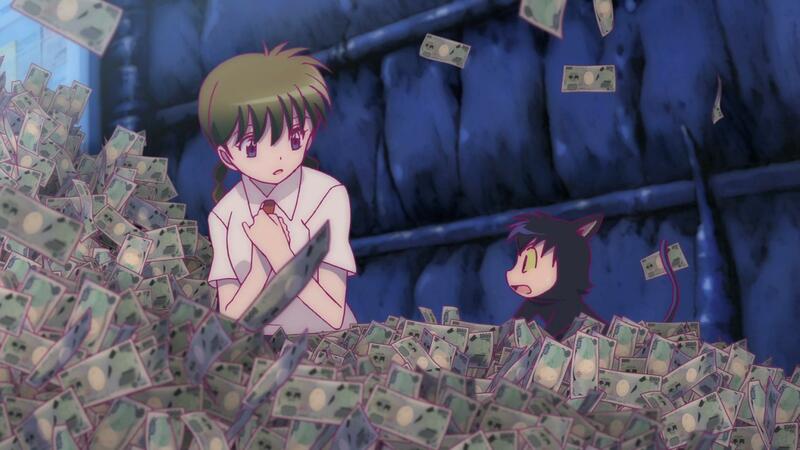 Back in Hell, Misato encourages Rinne to incur more debt by destroying things to get to Masato. His ultimate goal is to have Rinne in Debtors Hell, which is the lowest level of Hell, and to that end, he tosses a bottle with Reiji’s soul down Hell’s shaft. Sakura and Rokumon go to Hell, where they see the evidence of Rinne’s passing and learn of the hunt for him. 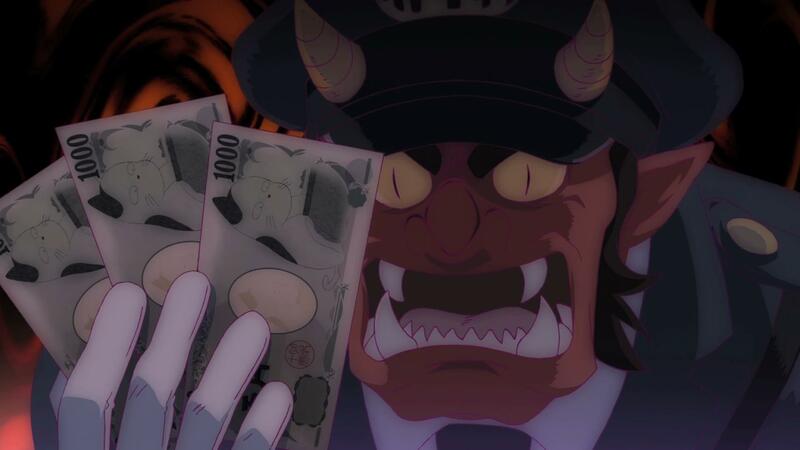 Rokumon uses another of Masato’s cash cards to make a large withdrawal. 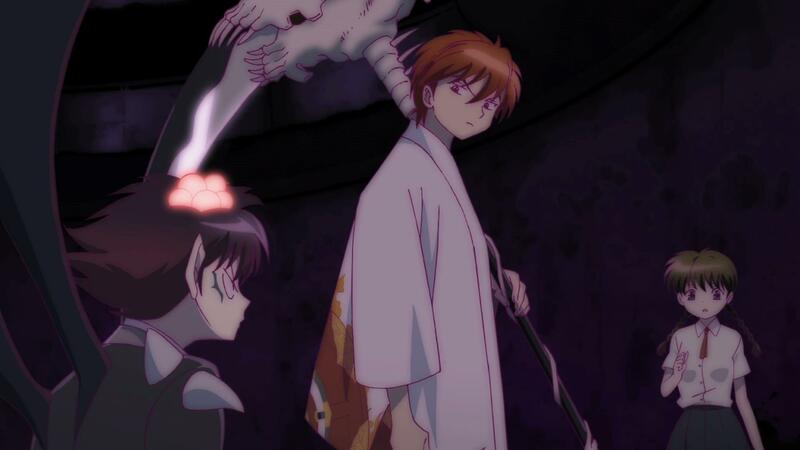 Misato attacks Rinne with his shinigami scythe. 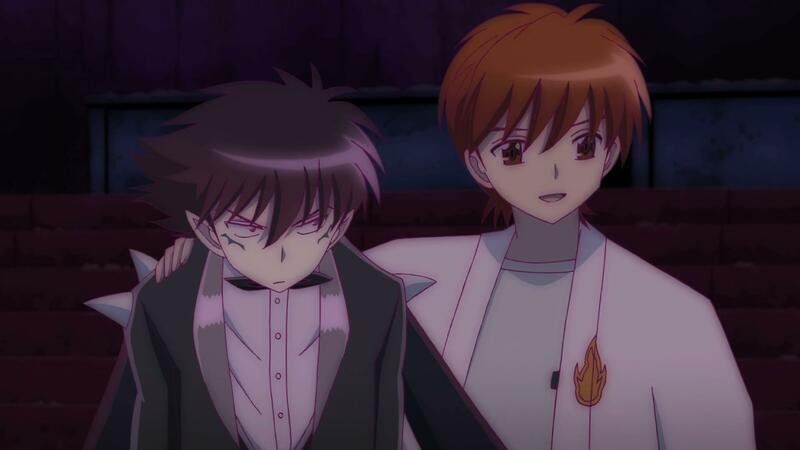 Rinne needs a weapon, but he can’t afford it. So he does a job in Debtor’s Hell and manages to get it done. However, his payment won’t be arriving for months. 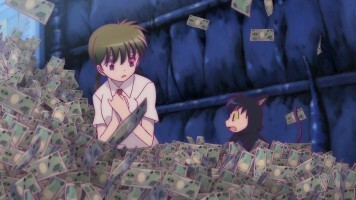 Sakura and Rokumon arrive with the piles of cash and drop it into Debtor’s Hell. 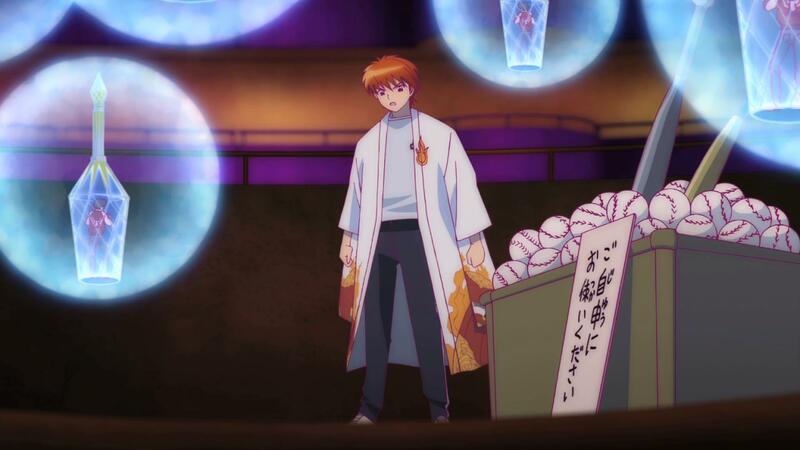 Masato knows it is counterfeit and hopes Rinne will use it to attempt to buy a weapon. 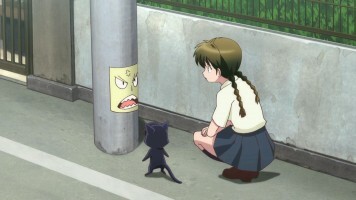 Instead, Rinne uses it as an exorbitant attack weapon. The supervisors in Debtor’s Hell detect the fake money, and Hell cops arrive and Rokumon is about to give Masato up, but Rinne stops him. Rinne says he doesn’t know who did the counterfeit money, but his friend Masato will pay. Masato objects until the cops offer a pardon to Rinne for giving up the creator of the counterfeit money, at which point Masato gladly offers to pay for all damages in Hell that were caused by Rinne. They return Reiji’s soul to his body, where he’s reunited with his friend and girlfriend. 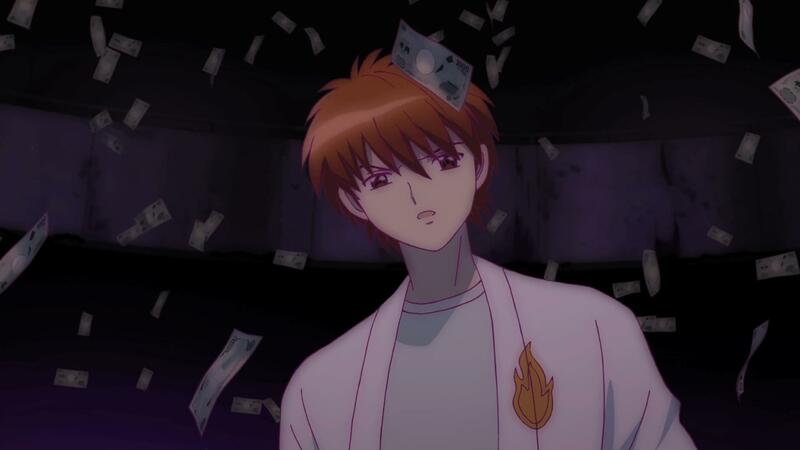 Sakura tries to ask about the money Rinne owes her, but he keeps avoiding the subject. I’ve mentioned this before, and I’m sure I’ll say it again, but this anime series sure is a lot funnier than the manga had been. 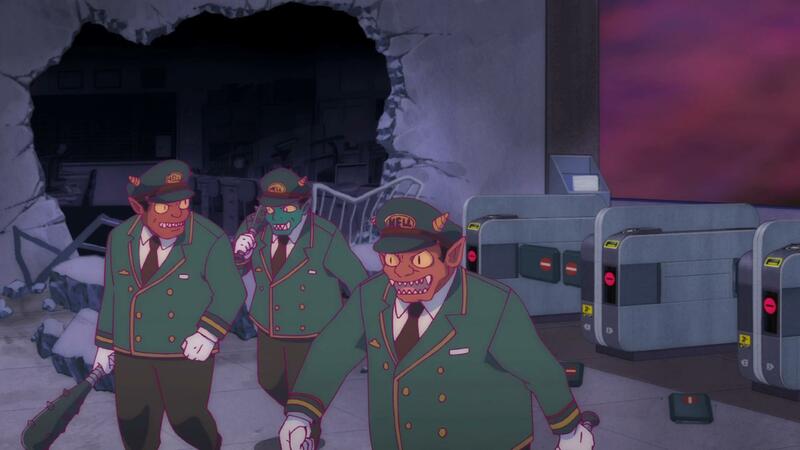 I liked the cracks the anime made about government bureaucracies and their incredible inefficiencies. I think those may have been in the manga, but it comes off funnier in the anime. As to Reiji’s and Suzu’s romance and such, to be honest, that part really didn’t matter much to me other than it getting a positive resolution, which is what happened. The enjoyment in the episode came from all of the humorous moments scattered throughout. Well, I’m still trying to catch up on stuff, so I’ll end this by saying I really enjoyed watching this episode due to it being quite humorous.